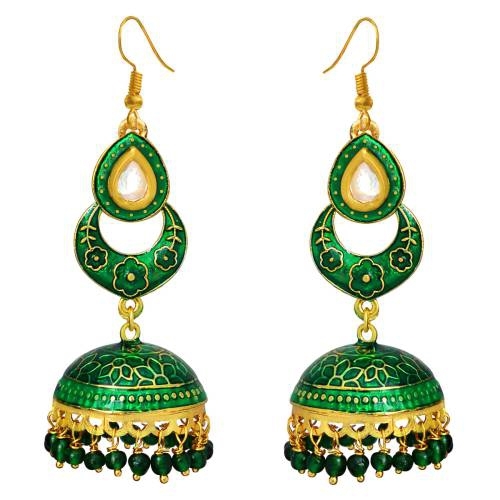 This meenakari tokri jhumki is made up on a copper base have a chaand shape pendant. 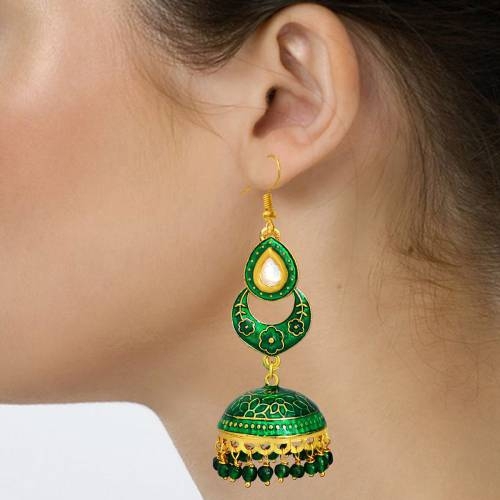 The tokri is polished in high gold and covered in meenakari / enameling in green colors. The tokri is edged with pearl finish color seeds. 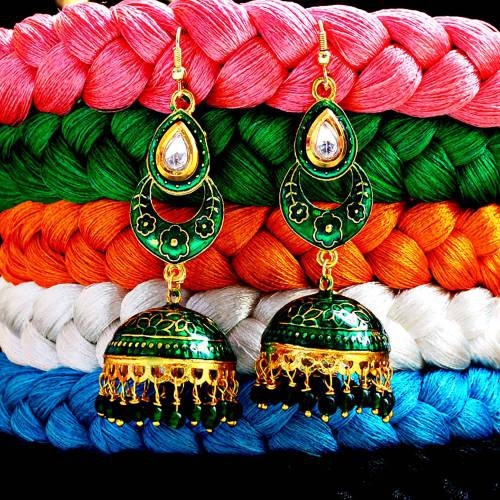 The top part of the earring is governed by a specific shaped pendant which is also enameled in similar manner as that of tokri.